Of the places where they lived. In seeing what was home. Courting village scene with my mother. (Dad, the swifts nest still in roof tiles. At Slaughter, as it ever did). Years past before me here. 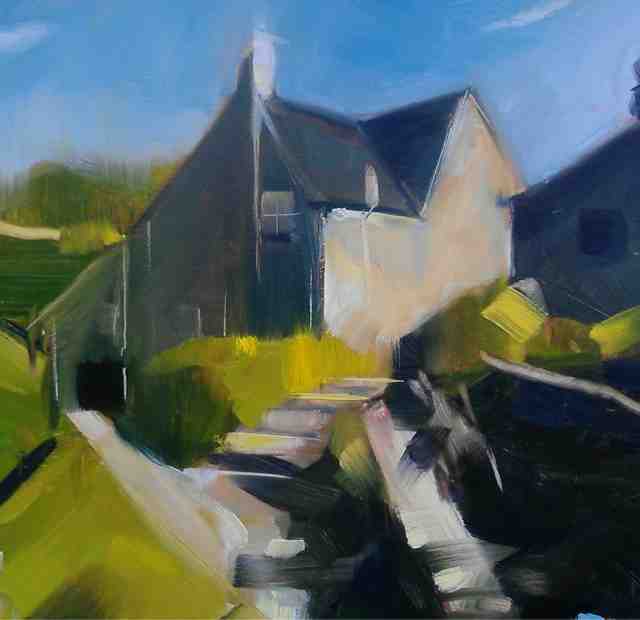 Today's image is of Spring Cottage, Winson, painted by AWM (Wes Martin) for his Daily Painting project. Spring Cottage is in the heart of the Cotswolds and the village remains unspoilt.